Share booth #7641 with others. Pharmacy ownership transfer has never been more complex. With that in mind, RxOwnership was created with one purpose in mind: to help pharmacy professionals with the sale, purchase, or transfer of independent pharmacies. RxOwnership brings together the expertise of McKesson with the dedication of our expert Ownership Consultants to support the needs of current and future pharmacy owners. Whether you're looking to sell a chain of pharmacies that's been in your family for generations -- or purchase your very first pharmacy business -- RxOwnership is a helpful resource for everything from planning to staffing. 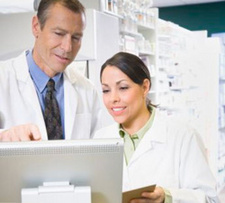 For many pharmacy professionals, the ultimate goal of a pharmacy career is pharmacy ownership. The freedom and responsibility that comes with owning and managing one's own pharmacy is unmatched in our industry. However, the process of buying an independent pharmacy is extremely complex. Powered by McKesson, RxOwnership is here to help. RxOwnership provides you with the tools and resources you need to plan for the successful acquisition of your very own pharmacy. With information on everything from Business Basics to Store Set-Up you'll know exactly what it takes to fulfill your dream of pharmacy ownership. 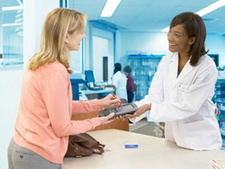 Embrace the business of pharmacy ownership. RxOwnership Ownership Consultants can also provide you with guidance to point you in the right direction to find the information you need. Most likely, the information you need is available to help you become a successful pharmacy owner. As a pharmacy owner, planning for the eventual sale of that pharmacy is one of the most important things you can do -- for yourself and your customers. However, the process of selling an independent pharmacy is extremely complex. 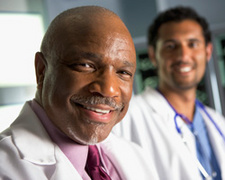 Powered by McKesson, RxOwnership is here to help. RxOwnership provides you with the tools and resources you need to plan for the successful sale and transfer of your pharmacy. With our tools, resources, and especially our Step-by-Step Guide, you'll know exactly what it takes to sell successfully. If you approach the process of selling your pharmacy in a step-by-step manner, it won't be overwhelming. By giving yourself sufficient time, you can carefully consider and refine what is best for you, your family, your employees, and your community. You will have time to consult with colleagues who are several years ahead of you in the process, and to build a team of specialists around you. As you think about the ownership transfer of your pharmacy, jot down what you want the pharmacy to be like in 3, 5, or 10 years. This can help you understand how you want to sell your pharmacy -- and to whom. Financing as part of the sale process. Many pharmacy owners, sellers, and sales managers attempt to start the ownership transfer process with financing. This is a guaranteed recipe for disappointment. As has been pointed out repeatedly, there are myriad decisions that must be considered and made before considering financing. Financing should only be approached once the succession planning has been completed. There are many different types of financing available today. Most people think first of traditional lenders such as banks and organizations such as the Small Business Administration (SBA) when they think of financing. Others think of suppliers and wholesalers providing dating of product as a form of financing. In addition to these, financing can come from a current owner "taking back a note." Loans from parents and relatives also are common forms of financing. Rarely is just one type of financing used in the sale/purchase of a pharmacy. For this reason, it is important to understand the breadth of financing options available.